On a cold, slightly damp March weekend, a caravan of cars, pickups, and vans straggled through the entry to the South Unit of the Theodore Roosevelt National Park. Their goal was to watch as Blaze becomes a mascot. It was not long before they bunched up again to photograph a couple of spry bison scampering across the hills. Then, it was off to Buck Hill, one of the key landmarks where Deb and Blaze carried on their relationship. Blaze is in her collection called “Flying Without Wing.” Here is how they met in her own grand style of story-telling. Blaze and Deb met in 2012, and Deb says it was an instant connection when Blaze charged across the open space to check her out. In 2014, Deb says she decided it was time to become how to be a voice for the all the herds of wild horses in the Western United States. A red wild horse or feral horse runs up a winter pasture in the Badlands. Blaze went missing and apparently died on March 19, 2017, while protecting his mares. Deb Lee Carson points to the area where Blaze lost his life. The weekend of March 17, 2018, was the first annual event to remember Blaze. Deb unveil a special framed image of Blaze and to kick off the next phase of promoting the wild horse herds in America. The group paid tribute to Deb’s “spirit horse,” released to the wind their written definitions and synonyms of the word, “wild,” and talked about other horses in the Park. They were already making plans to continue the tradition. This 2017 event is the first of many events planned to promote America’s wild horse herds. Around March 19, 2019, on the second anniversary of the death of Blaze, another commemorating event is planned. Gala events are planned to celebrate wild horses and to raise money for the preservation, and adoption of wild horses in the herds across the West. In the meantime, a national effort to advance the cause of the wild horses in America is growing. “Stay Wild 7.0” describes itself as “a positive power for a population of wild animals long regarded as outlaws and seen as outcasts—America’s wild horses—a world heritage.” Stay Wild 7.0 seeks to advance adoption options as a way to manage the nation’s herds of wild horses. Recognizing that they are neither outlaws nor outcasts, they are our heritage and acknowledging that adoption is the largest hurdle to managing our wild horses today, along with identifying they are not receiving the constructive backing they desperately require from mainstream America to shift them into adoptive homes. Watch for events in places such as Medora, North Dakota and Red Wing, Minnesota. In Red Wing, Deb Carson plans to unveil her next body of work called, “Stallions, Wild and Untethered. Click here for a sample of the wild horses of Theodore Roosevelt National Park. Click here to read more about the wild horses that some think are descendants of Sitting Bull’s ponies. 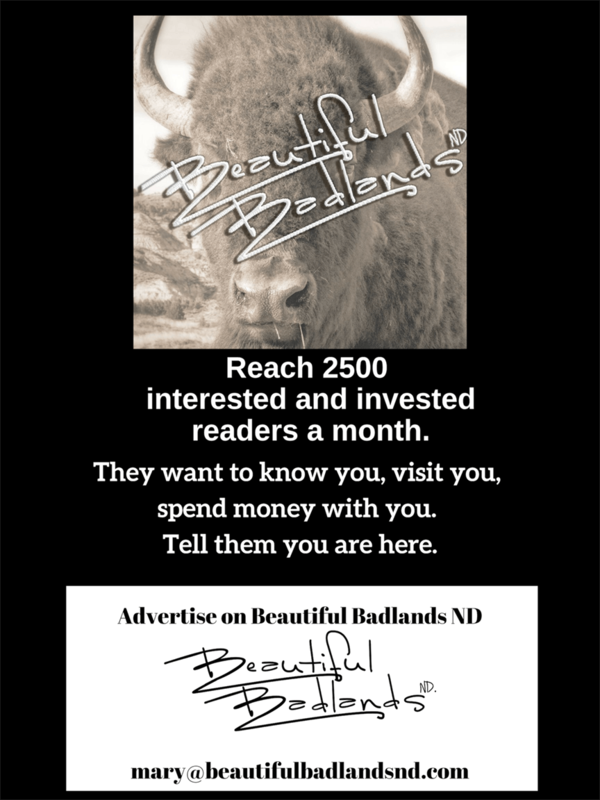 Add your email address to get a notice when new articles are posted from the Beautiful Badlands of North Dakota. You know that one friend who likes horses? They would like to see more about the wild horses. Share this with them.